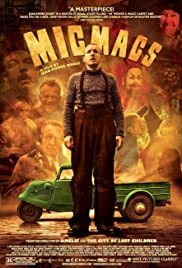 I saw this film in France today and it's a very good surprise... I didn't know the plot of the story so the beginning was a little surprising, but gets quickly to the general atmosphere of the movie. A little crazy, but very well filmed, colorful, very good cast. Dany Boon is finally a great actor. I like idea to laugh at the weapon industry. This film made me think of Slevin (those who have seen will understand). If you know Jean-Pierre Jeunet's filmography you can blindly jump in. It's difficult to do quality and quantity, but when you see his work you have no doubt about what he choose.